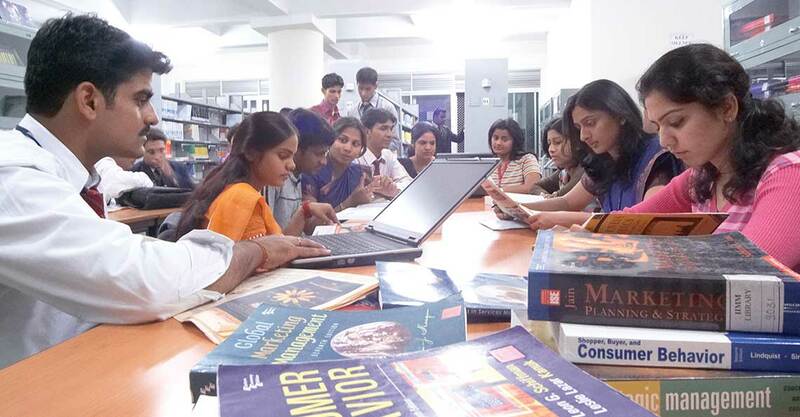 The BITM Library possesses more than 40,000 books comprising textbooks, reference books, books related to business and management and many more. To promote learning and encourage students to develop an inclination towards the latest management research, the library has subscribed to 110 journals and magazines comprising international and national editions along with subscriptions to 26 local and national newspapers. The library has also made arrangements for sharing information and knowledge from several national and international online libraries and databases such as NDL- National Digital Library, EBSCO- EBSCO Management Collection & eBook Business Collection and has online subscriptions and editions to national & international journals of repute. 14 online journals and databases are made available for the students and faculty for study and research. The library possesses more than 317 CDs related with various subjects like, Psychometric test, IQ Test, ET in Class Room, aptitude test and CDs on Faculty Seminar Series published by Harvard Business School are also available. The reading room of the BITM library has comfortable chairs and desk facilities affording opportunities for serious research and study along with light reading and general reference with a seating capacity of 120. It possesses a reprographic facility for the students and faculty members. The library is equipped with 10 computer systems with multi-media catering to the e-library and reference needs of its members and visitors.